After decades of popularity, it appears DLC killed the cheat code star. The famous "Konami Code", a string of simple commands almost every video game player knows by heart. Although it first debuted in the 1986 NES title, Gradius, the cheat gained notoriety for granting 30 lives in the NES version of Contra, a side scrolling title so difficult most players relied on the code to beat the game. Thirty lives. The only sensible way to beat Contra. 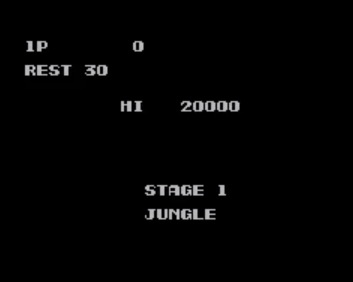 Of course, it was just one of multiple cheat codes made popular in the 80s and 90s, back when such things were a key element of gaming. Having trouble with DOOM? Entering IDKFA unlocks all keys and weapons. 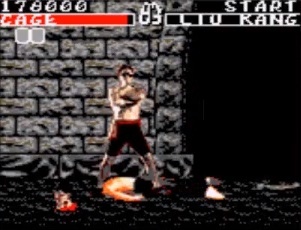 Need blood in the Genesis version of Mortal Kombat? Press A, B, A, C, A, B, B. How about Game Gear? That's 2, 1, 2, Down, Up. Mortal Kombat Game Gear sans blood was pretty bad. With graphic dismemberment? Portable companion. Want to unlock Bill Clinton in NBA Jam? Input A, R, K at the password screen and hit the A button. What used to be one of the coolest aspects of gaming has instead been relegated to something from the past, a relic from a nearly forgotten age. Cheats have become so scarce that a whole generation of players will grow up without using a single one. 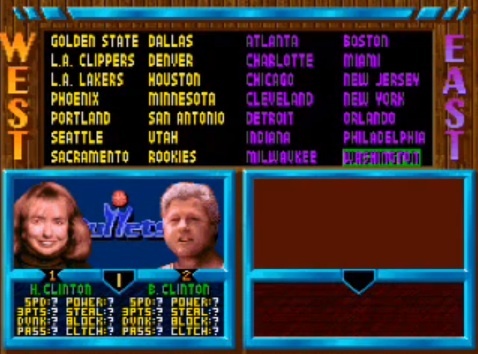 NBA Jam Tournament Edition features both Bill and Hillary Clinton. Think about the conversation you'll have with your kids. "Back in my day, we didn't spend money to unlock stuff. We had to press 35 buttons in five seconds while walking in the snow, uphill with a boxy Sony Trinitron strapped to our backs while wearing Reebok Pumps while listening to All-4-One songs on my Sony Walkman." Do me a favor and rewind to "we didn't spend money", because that's what essentially killed the concept of cheat codes, downloadable content. During the constantly evolving world of interactive entertainment, someone decided it would be a much better idea charging players for stuff instead of making them earn it. And if they want to earn it, the developers will make it nearly impossible to do in a timely fashion. We can't blame the corporate suits for thinking this way, particularly Microsoft and Electronic Arts, both of which championed micro transactions with Xbox 360. Games cost a ridiculous amount of money to make, and publishers need money. Just look at the App Store. 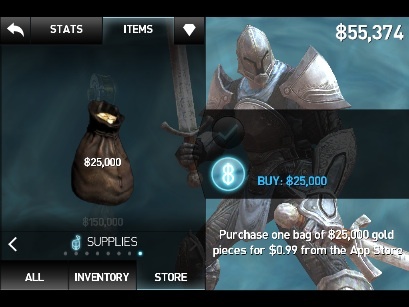 How many iPhone and iPad titles come with in-app purchases these days? Nearly all of them. These days, you buy your way to the top. Is it so much different from entering cheats? Going the DLC route, while profitable for some, essentially ruined one of the coolest things about gaming. When I was a kid, a cheat code had meaning. There was something so incredible, and perhaps underhanded, about discovering and then using a cheat, almost like I uncovered an exploit and hacked into the game, even though the developer intentionally put it there. Then again, you don't think about that when you're seven. Now kids have it much easier, coughing up a buck for 200,000 credits in some iPhone game, or paying to unlock weapons in a PlayStation 3 title. There's no need to read through strategies on the Internet, or flip through magazines in search of a warp zone cheat. Not that there's much of a difference between entering a code versus paying for something outright. Ultimately, you wind up with the same carrot, but cheat codes felt magical and borderline forbidden. I still see them crop up in today's games. There's a bunch in this year's Mortal Kombat, and you can unlock all of the wrestlers and arenas in WWE All Stars (perhaps even the 3DS version), but these feel more like novelties, a nod to a bygone era. Up, Up, Down, Down, Left, Right, Left, Right, B, A...salvation.